Your best chance to be a millionaire could be a shopping spree this DSF – as City Centre Mirdif is giving away a whopping cash bonanza on February 2. City Centre Mirdif’s tombola-style draw will see one lucky customer walk away with up to AED 1 million as part of Dubai Shopping Festival celebrations in association with Dubai Festival & Retail Establishment. To enter the draw, visitors must simply spend AED 350 or more in the mall, then present their receipts to staff at any customer service desk. From all the names entered, one will be picked on February 2 for the opportunity to spin the mall’s Million Dirham Wheel. The participant is a guaranteed winner with a chance of walking away with at least 100,000 or the grand prize of AED 1 million! Let’s face it: who doesn’t want to be a millionaire? 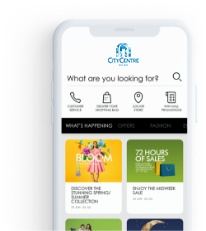 To find out more visit www.citycentremirdif.com or www.facebook.com/CityCentreMirdif or https://www.instagram.com/citycentremirdif/ or https://twitter.com/CityCtrMirdif.